Last week, the battle of the Battle Royale games saw Fortnite come out on top after the free Blackout trial ended in Call of Duty: Black Ops 4. This week there's a third title entering the fray in the form of Respawn's surprise release Apex Legends. 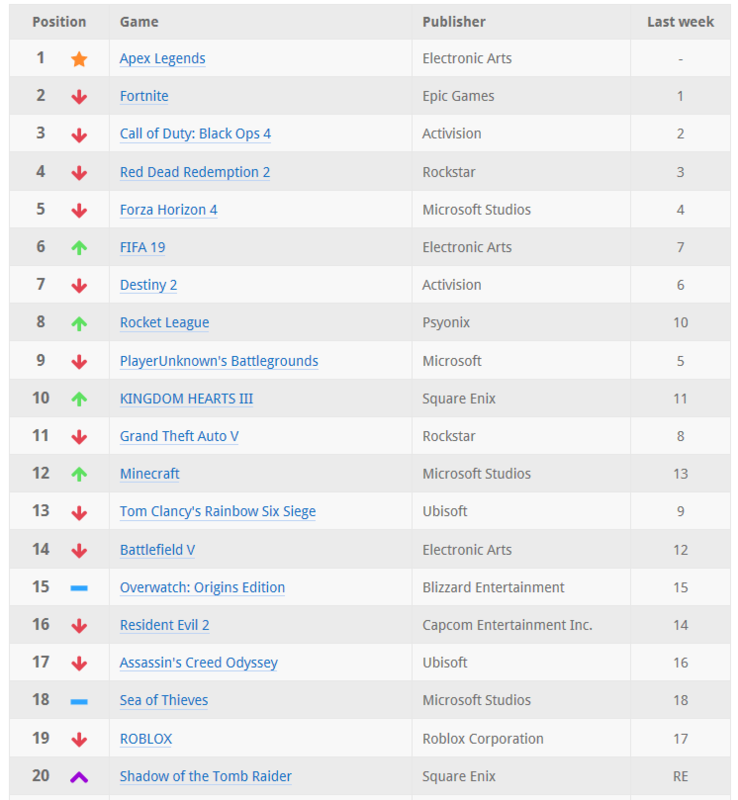 You can check out the results of the ultimate battle royale at the top of the gameplay chart by taking a look at the top 40 most played games below. 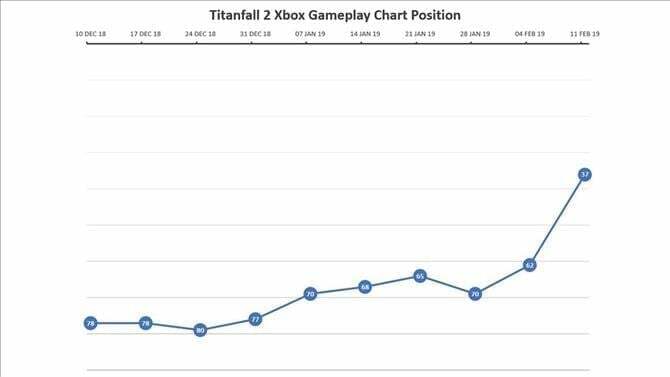 Titanfall 2 is back at the charts. Kingdom Hearts 3 gained one position. Shadow of the Tomb Raider is back because of Gamepass. REALLY good to see TF2 come back on the list! 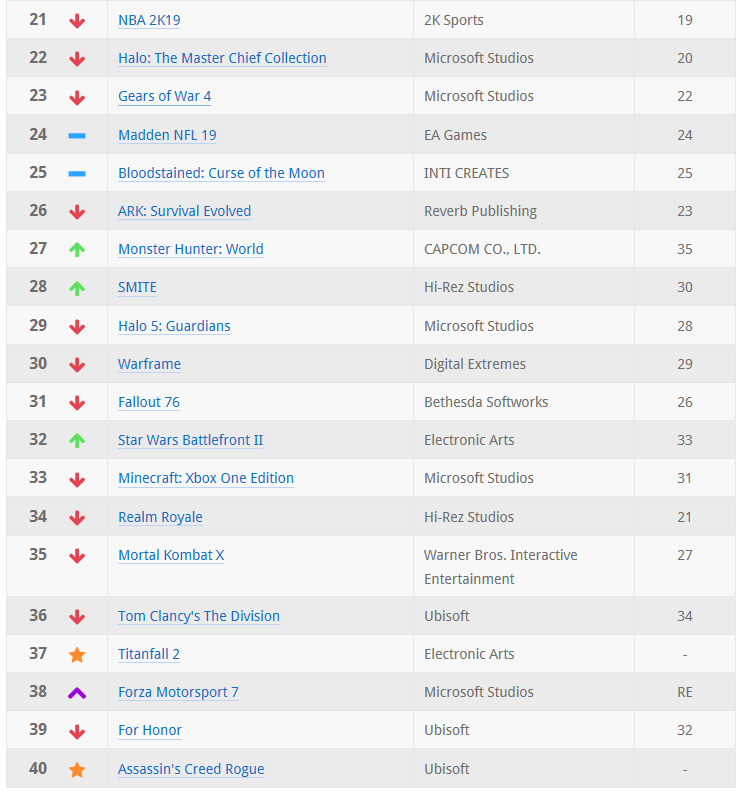 Wild that not only did Apex put itself on top of the charts, but also pushed Titanfall 2 into the top 40. Fortnite has been at the top of the charts for a loooong time. This is pretty big for Apex. Also the top 10 has four Battle Royale games in it now. Apex Legends is a beast, hopefully it stays strong because it's an incredible game. Probably the closest thing to a "flawless victory" EA has done this decade besides their usual sports game cashcows. But I suppose all BR are. 5 if you include red dead onlines br mode. FH4 still top 5, nice! Also nice to see KH3 in the top10. Forza Horizon 4 still going strong, nice! Kingdom Hearts III is up from the last chart. I only played one of those, RE2. Sea of Thieves didn't move this week. I had expected to see it start climbing because of the Twitch resurgence we were talking about at the end of January. It already climbed alot because of that the last weeks. I downloaded Titanfall 2 to practice shooting on their engine hoping it will help me out with Apex, at least that's my approach to it. Apex Legends has kinda killed its thunder on Twitch. It dropped to the #18 most streamed game on Twitch last week, down from #11. And with Rare announcing that content is only coming after March 20th, I can see it drop quite far the next weeks. It will go up after March 20th. The game was #16 in the EMEAA sales charts last week. So it's performing okay. And being in the top 20 most played games means you have a more than healthy player base. Apex has blown up way quicker than I would've imagined which is awesome.